I am a licensed counselor in the state of Montana working primarily as a child and adolescent counselor. I have almost 10 years of counseling experience with the large majority of that coming from working with children and adolescents, ages 12-19. I have worked with clients with a wide range of concerns including depression, anxiety, anger management, relationship concerns, behavioral concerns, Autism, ADHD and PTSD. I have helped many children, along with their families, to implement positive changes in their lives. My counseling style is warm, positive and non-judgmental. 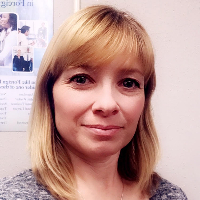 I practice a client-centered approach to counseling and particularly try to implement Cognitive Behavioral Therapy in my counseling, although I will tailor my style and approach to fit your individual needs. I understand that deciding to get support is a big step towards making positive change and I look forward to being a part of helping you achieve that! Would you like to write a review for Laura Jorgensen? We'd appreciate if you can spend a couple of minutes to write a short review for Laura Jorgensen (LCPC). This review would be shared with Laura Jorgensen. It may also be posted in our website or in Laura Jorgensen's profile but it would be anonymous and your identity would be kept completely confidential.